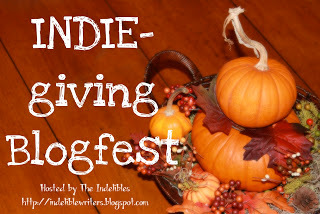 I'm happy to be participating in the Indie-giving blogfest. I'm an indie writer, and it's a fun journey. Part of the fun of Indie writing is the control that you have of your book. It's not just enough to write it and send it out into the void. You need to promote! So how do you know if you should host your own virtual book tour or if you should hire a professional to do it for you? 1-Do I have a significant number of contacts who will helps promote my book? Ideally, you will have collected contacts naturally as you connect with other authors, bloggers, and book reviewers. If you don't have a few hundred contacts (not counting your mother, your dentist or your book club members) who have an audience that will be interested in your book, your launch tour might not reach those who would read your book. 2-Do I have time to set up, maintain and follow up on the tour? It takes a few weeks to set up a tour and do it right. At least an hour per day of the tour will be spent promoting the tour itself, and there will be more time spent on thank you's and following up with participants and helpers. 3-Am I organized and professional in my communication with others? The way you handle yourself reflects on your book tour and will ultimately jade the perception of your book. If you can't be nice to others, or you are terrible at returning emails, you may not give the impression your book needs to succeed.